I hope you are all having a great week. I thought I give a sign that I am alive *waves*. This week is going so fast, I didn't notice that hump day was over already. I cheated though because I didn't work properly on Monday (other than in the train) and visited two lovely bloggers in Dusseldorf, Anonymiss and Mel-et-fel. We had a great day and they managed to keep my shopping urge at bay. I managed not to go bankrupt at Tom Ford Counter, yay! After I was back, I started to come up with some sore throat which I am trying to get rid of since two days while working hard to get ready for the lectures. It is not fun so far. I am hoping that it goes away before the lectures start next week. 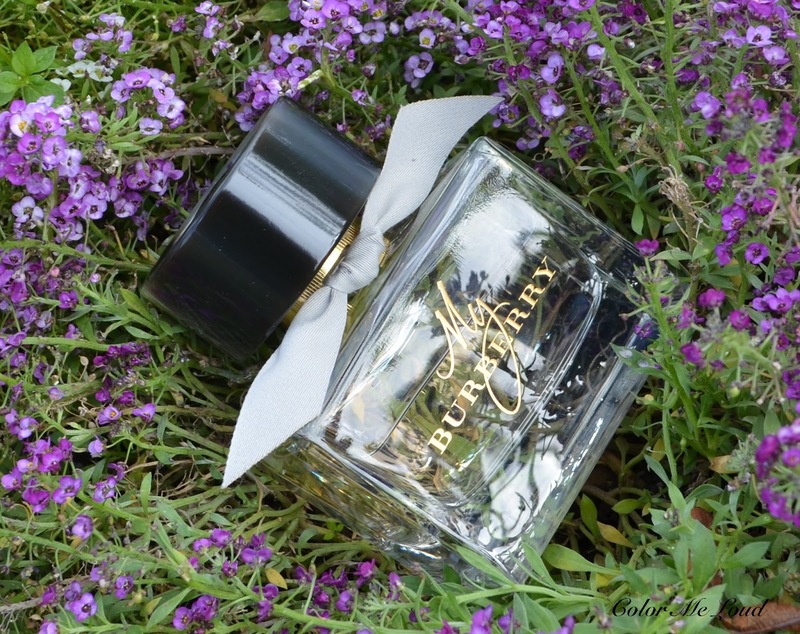 The opening of My Burberry EdT is fresher than the EdP version by the appearance of lemon blossom instead of bergamot. The sweat pea note which is one of the signature notes of the original is kept so it read close but more summery. The heart is lighter but still floral with a touch of good quality penny while managing to stay recognizable through freesia. The dry down is much lighter, more skin like. I love the base of the original but found it is bit too dominant for humid and warm days. EdT on the other hand is more easy going, light and fresher. I am now truly enjoying My Burberry EdT during the transition from Summer to Fall although today it was rather cold so even EdP would work. There is something about this bottle and the fragrance which speaks to me, loving it in both versions. 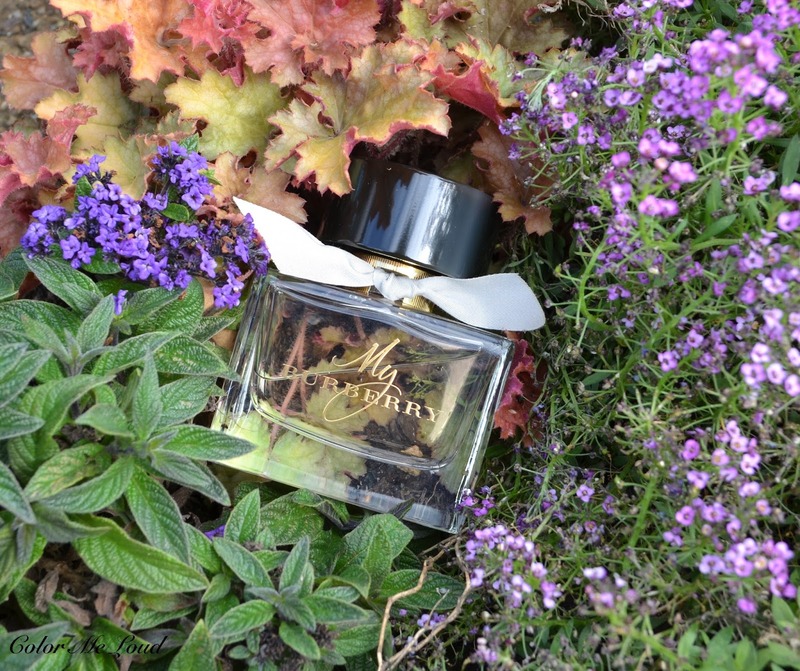 Final thoughts: Burberry My Burberry Eau de Toilette manages to stay true to the original by its sweat pea opening and flower heart while being fresher and lighter. I love the addition of a lovely peony note in here and very skin like dry down. If you are a Burberry My Burberry fan like myself, now Burberry get you covered all year round. Have you tried the original or the new EdT version? How do you like them? if you like your perfumes a little lighter and found the EdP a bit overpowering, you will probably like this one more. I also love Peony so much! actually this one came out in August but I couldn't review it back then since it was too big to take with me to holidays. 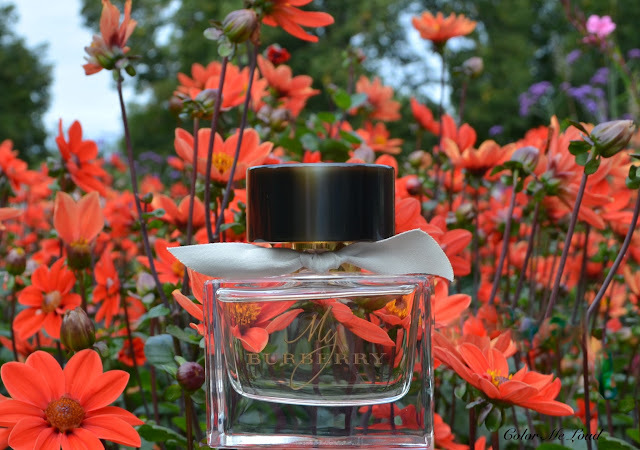 I enjoy it as a transition fragrance from summer to fall though, perfect for the sunny but a little cooler temperatures we are having at the moment.